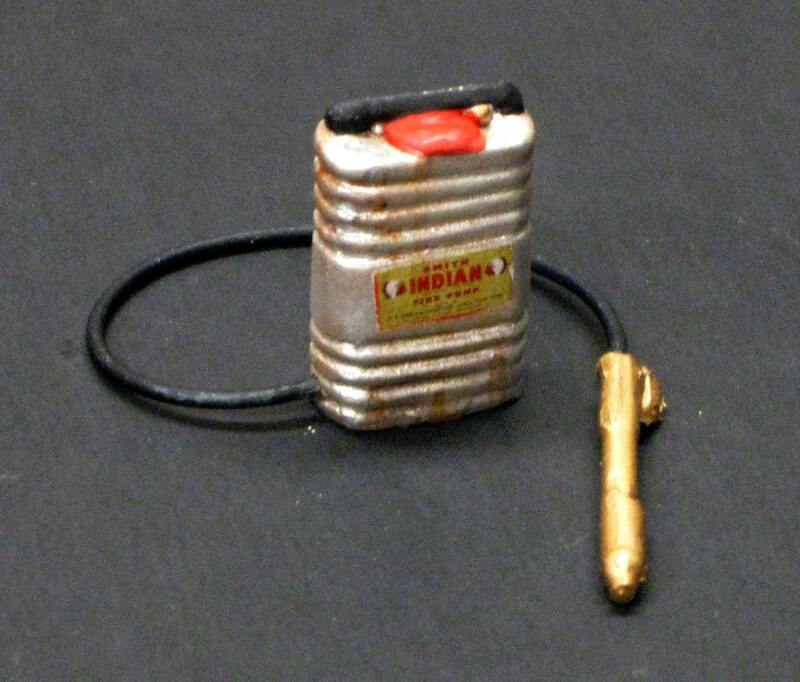 This is a resin Smith Indian Tank Fire Pump for 1/25 and 1/24 scale model fire trucks and firefighter figures. This is suitable for use in any fire truck model in a comparable scale. 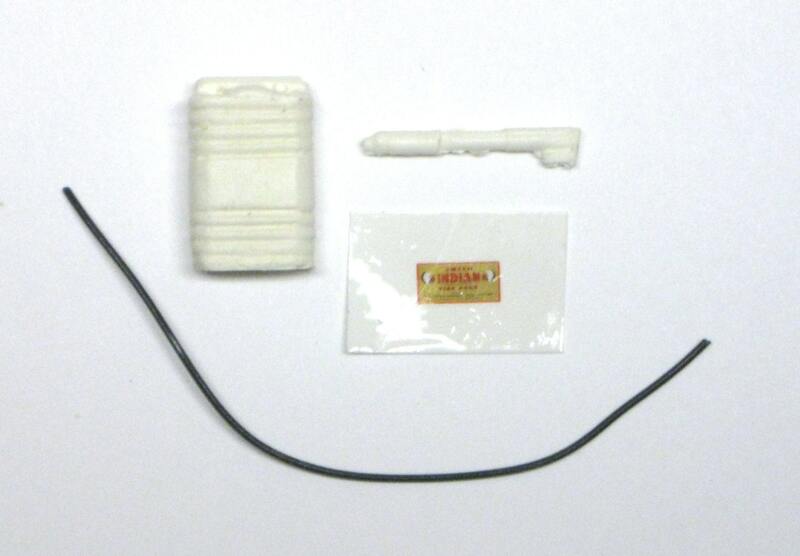 The kit includes the tank, nozzle, and a length of wire to use as a hose. The tank measures approximately 3/4" x 1/2" x 1/4". It is in new unused condition. It has minor flash and require minimal clean up. It can be finished with enamel, acrylic, or lacquer paints. This is a scale model part. 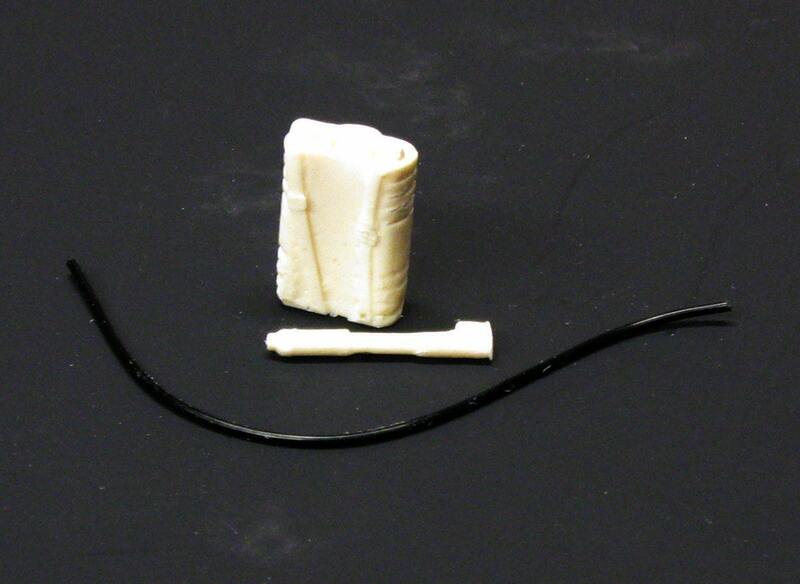 It is solid cast resin and completely inert and nonfunctional.